We've heard a lot about the PlayStation 4 and Xbox One over the last six months, but if you're a true retro gamer, prepare to be amazed by the $500 Analogue Nt NES System. 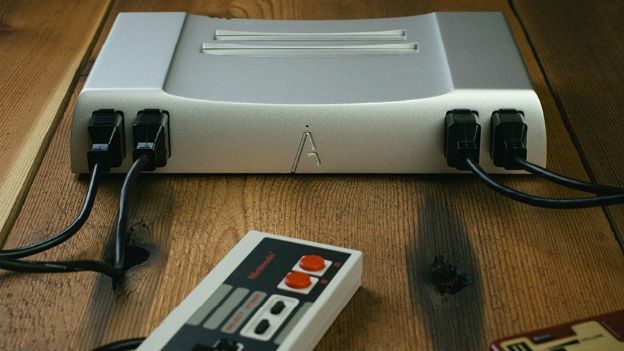 It's a fully working Nintendo Entertainment System encased in a solid block of aircraft-grade aluminium alloy. The Seattle-based company behind it is currently taking pre-orders for $499, roughly the price of an Xbox One in the States. But throwing aside questions of price for a second, this region-free system will support all your old NES cartridges as well as gamepads and accessories. Providing, of course, that you still have them. If you don't fancy digging through the loft to find your old controllers, you can pick up refurbished ones and, amazingly, factory sealed NES controllers from the company. Obviously connectivity has moved on somewhat since 1985, so Analogue Interactive has added an HDMI adapter port for upscaling to 1080p resolution. If you're tempted by this fusion of design and video game history, then you can register a pre-order on the Analogue Interactive website. The company says it expects to start shipping in late summer. Duck Hunt, anyone?